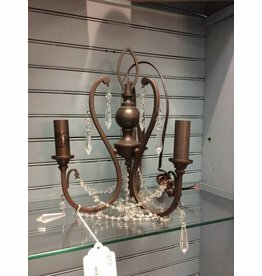 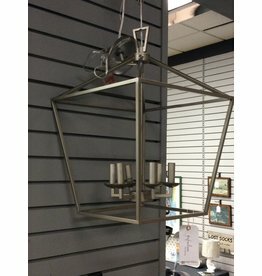 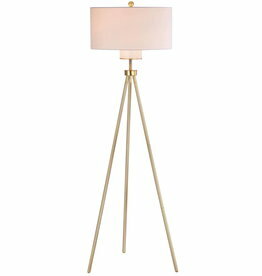 This brand new pendant light creates a classy, traditional ambiance with contemporary updates. 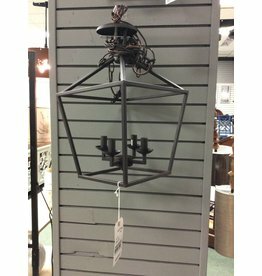 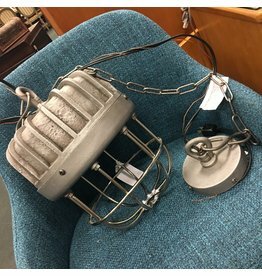 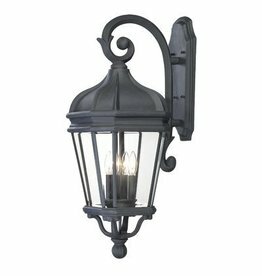 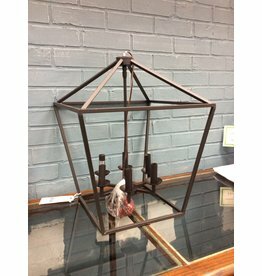 Brand new four light lantern built to withstand the elements outdoors. 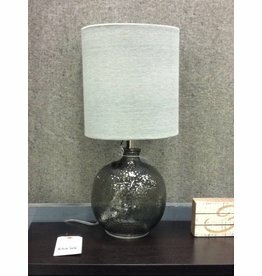 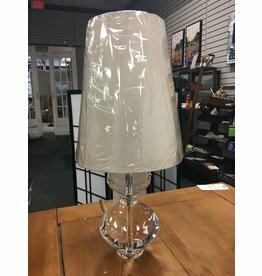 Round glass based lamp in "smoke' with linen shade. 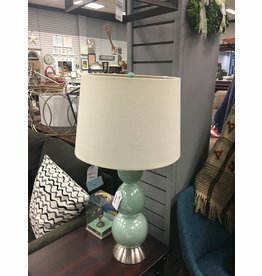 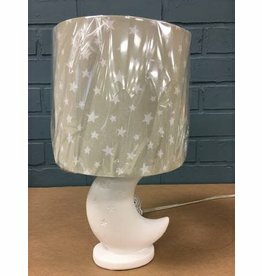 Brand new white ceramic table lamp in the shape of a crescent moon with beige star shade.